It's October, and of course that means horror movies! A little while back I had the chance to see the comedy-horror film The Night of the Living Deb, and thought this would be an appropriate time to write it up and put it out there. 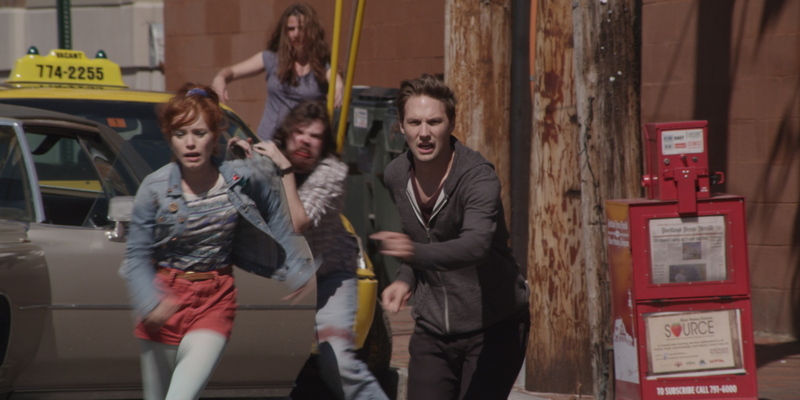 Night of the Living Deb is directed by Kyle Rankin, a somewhat newcomer with some previous horror-comedy under his belt. The film follows the titular Deb (Maria Thayer) who finds herself in a world of reanimated corpses just after an awkward one night stand with Ryan (Michael Cassidy). The two are forced to work together to survive despite the fact that they seemingly have nothing in common: Ryan is a strict environmentalist from a wealthy family while Deb is goofy and works at a local news station. While the film clearly owes a lot to Shaun of the Dead, it begins with a lot of comedic promise. While Shaun uses primarily a deep knowledge of the genre as the source of it's humor, Deb's zombies are more a background setting for some inherently funny characters. Thayer in particular is pretty hilarious from the get-go, and for most of the film she's given a lot of great writing to work with. 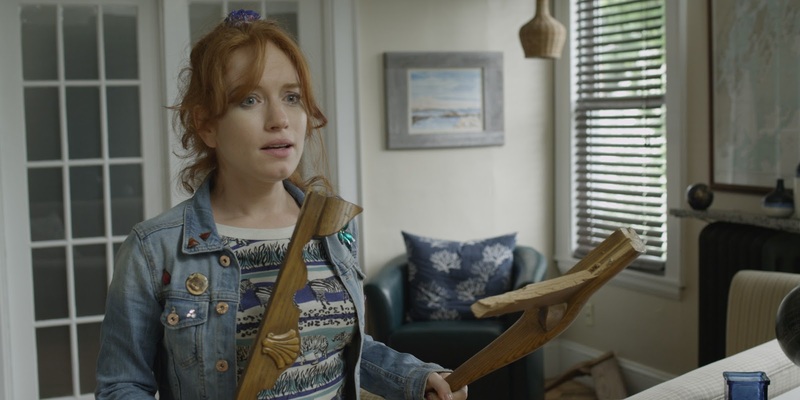 I found myself laughing far more than I expected from this sort of indie fare, and this is due to a combination of casting, writing, and nice comedic timing in the editing. Unfortunately, a lot of this good will is squandered in the second half of the film. As the pair works to get out of the city and find their loved ones, the film gradually shifts its focus away from Deb and Ryan to Ryan's cartoonish family. While the main characters are a bit one-sided, their chemistry makes for funny moments, but the secondary cast is not given nearly as much to work with and for whatever reason becomes the focal point for long enough that I began to lose interest. By the time the narrative rights itself and narrows into it's core characters again, the damage had been done. The ending has a fairly clever twist on the zombie mythos, but before that goes one step too far indulging the nerd-girl-gets-a-makeover cliché and nearly lost me entirely. Its heart is in the right place, but it's almost as if the writers remembered they were supposed to be graduating Deb and Ryan's relationship into romantic territory and weren't sure how to do it properly, and it does a real disservice to otherwise excellent characters. Night of the Living Deb seems to be a film that uses up all it's great material in the first act. I can't stress how great that first 45 minutes is, but it goes off the rails and wastes a lot of that promise. There is some real potential among the cast and crew for a future in comedy, but this one unfortunately doesn't quite make it over the feature film hurdle.